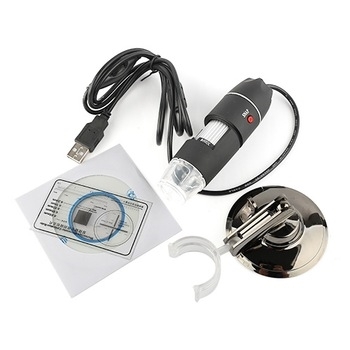 This USB digital microscope features variable 50-500X magnification and 2.0 mega pixels. It can be used for electronic repair, precision measurement, plant science, etc. Includes basic stand, an option post stand is available. Note this item does have a retail box. Includes software and calibration ruler sticker. Works with Windows2000/XP/Vista/Win7/Win8 or Mac OSX 10.5 or above. 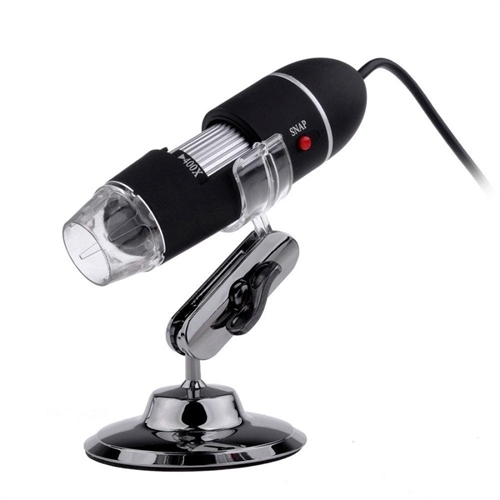 Need help choosing a microscope? 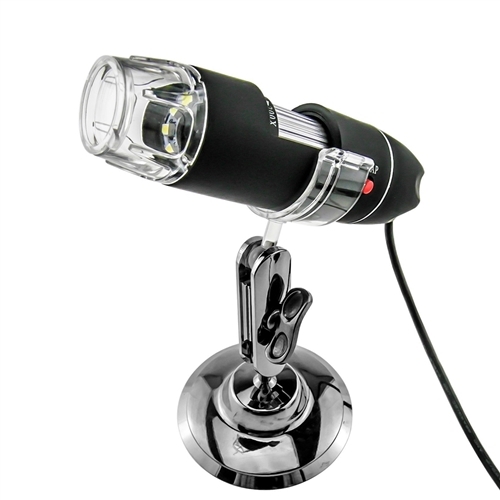 Download our Microscope Buyer's Guide. Accessories: A1-Alloy Stand, CD ROM (Driver), Cover, emandation rule.